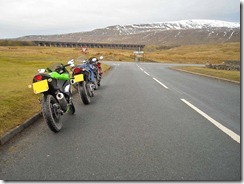 Cavturbo's Motorcycle Blog: Hawes and Back Again!!! Helen and I went out today for another quick run to Hawes. We left home at around 9:30pm and headed up the M66 and soon arrived at Clitheroe Services to fill up with fuel. 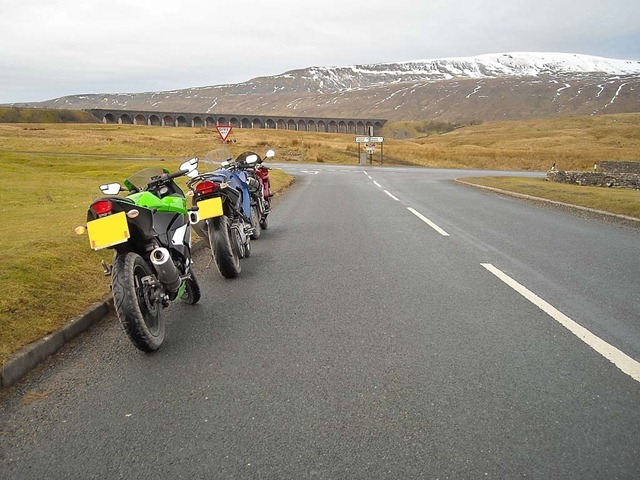 I had posted up the ride to Hawes on NUKB but only Mike was there to met us. We took the usual route to Settle via Wigglesworth and Rathmell. Then we turned onto the B6479 and headed for Ribblehead Viaduct. 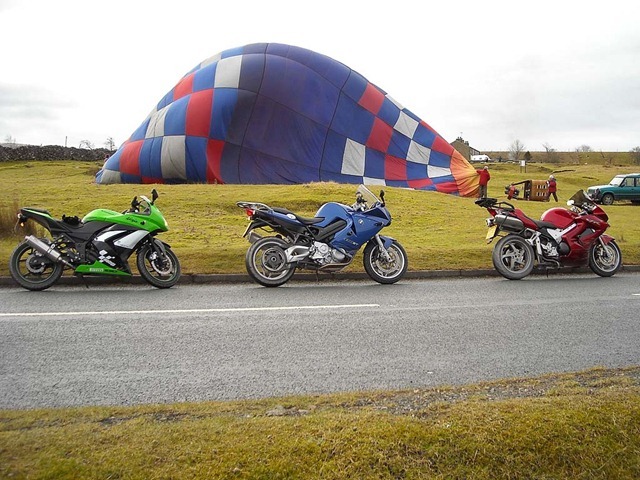 We stopped at the viaduct for a quick photo stop and also to look at the hot air balloon that was being inflated. After the short stop we turned right onto the B6255 and took that all the way to Hawes. We stopped at Hawes and went to the Penny Garth Cafe for some coffee and lunch. After our food break we left Hawes and retraced our route all the way back home. Although the roads were full of salt we enjoyed the run today much more than the one last weekend. 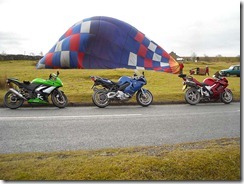 Again the VFR performed superbly and I never had one twitch from the back or front ends. I do feel the brake aren’t performing as good as usual so I am going to strip them down and replace the fluid when I get a chance. The bikes today got covered in salt and the exhausts had baked on slat all over them, took us ages to get them clean.